We are pleased to share with you the first still for Blakes upcoming film Age of Adaline. (HQ now added) In the film, Blake is going to stay young and beautiful forever. Literally. 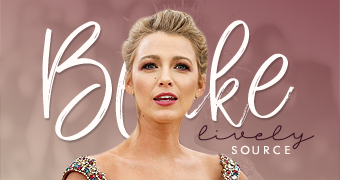 The film which is due out April 24th 2015, stars Blake as Adaline, born at the turn of the century and rendered ageless after a mysterious accident in the 1930s. Director Lee Toland Krieger believes Lively, 27, is ideal casting. Yet the filmmaker also was compelled by a bigger reason to cast Lively in the leading role, which had Hollywood luminaries such as Katherine Heigl and Natalie Portman attached in various project incarnations. Lively, who is expecting a baby with husband Ryan Reynolds, lobbied for the part with great ideas, says Krieger. Further, Lively has flexed her acting muscles only sparingly, in acclaimed supporting performances such as 2010’s The Town. Portraying the character through the decades was a well-suited bonus for fashionista Lively. She was able to tap her designer friends for period costumes crafted by Gucci and Dior. “To put Blake, who would look good in a trash bag, in the great clothing from all of these eras was kind of a once-in-a-lifetime opportunity,” says Krieger. Of course, being immortal has its severe complications. As Adaline stays forever young, her daughter continues to age and surpasses her. In the present, her daughter is played by 81-year-old Ellen Burstyn. It makes for a jarring juxtaposition. With all of her contemporaries, friends and lovers dying off, Adaline becomes a beautiful recluse — afraid of getting hurt by more love and loss. This changes when she meets a charismatic philanthropist (Michiel Huisman) who takes her to his parents’ home (played by Harrison Ford and Kathy Baker) for the weekend. Although the weekend and the relationship put Adaline’s immortal status in peril, Krieger says there is a positive message. “It sounds like wish fulfillment to look like Blake Lively forever. But she cannot grow old with anyone,” says Krieger. “In a world consumed with youth and vanity, there’s something very fresh and beautiful about a story focusing on the beauty of growing old.